Registrations for Infamous 2's beta test are now open, albeit only to US residents. Your work could appear in the upcoming open-world superhero/villain simulator, Infamous 2, provided that you're one of the lucky few that make it into the beta test for the game's user-generated content system. Infamous 2 will feature player-created missions, and developer Sucker Punch is looking for a few good ones to include in the game when it launches. In order to qualify for the beta, you need to have registered on the game's official website before March 21st. If you've already registered, then you need to re-register for reasons that seem legal in nature. There's a box you have to check in order to qualify for the beta, but it's very clearly marked, so you'll struggle to miss it. Unfortunately, this sign-up specifies that you must be a US resident, so anyone in the rest of the world is out of luck. The beta begins on April 12th, and Sucker Punch will be selecting missions created by players to seed the world with, ready for the game's release in the summer. Sucker Punch hopes to have the levels ready to play either on, or near the game's release day. Player creativity tempered by developer oversight sounds like a pretty neat way to get some really solid user-generated content in the game. 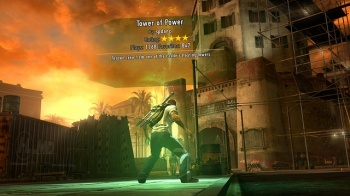 Sucker Punch has previously said that it doesn't plan to put up a lot of limits on the sort of missions that players can create, and that they can make things that are as action-packed, or as stealthy, as they like. Infamous 2 comes out for PS3 on June 7th.